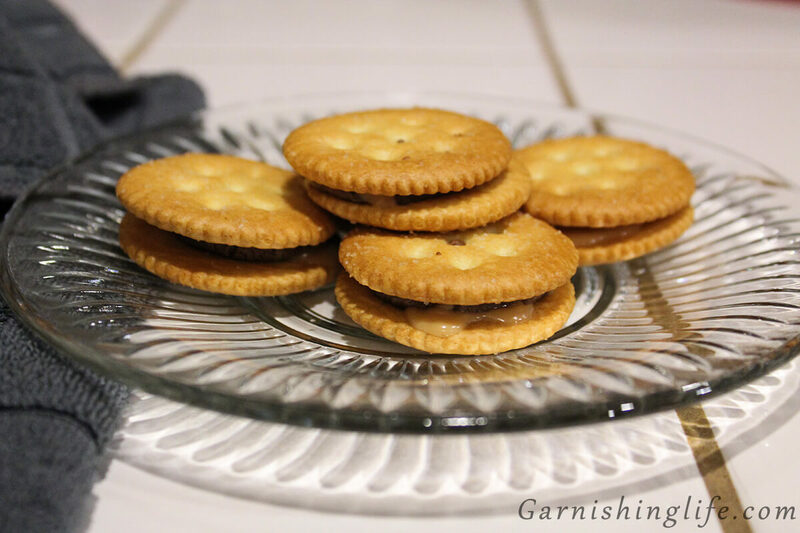 I cannot take credit for this super simple but delicious Ritz S’mores treat. I know I’ve said it before, but the culture at my office is the best. And to prove it, we did a cookie exchange. A cooookie exchange. This is like my dream function (and was also my idea hehe). So I slaved away in the kitchen, making Eggnog Cookies and White Chocolate Peppermint Cookies for everyone to oooh and aww over. Well, my boss brought in these salty-sweet Ritz S’mores Cookies and I was hooked. I was skeptical, I’m not one to love the salted caramel trend. I like my sweets sweet. But these were UH-mazing. And they are just about the easiest thing to make. 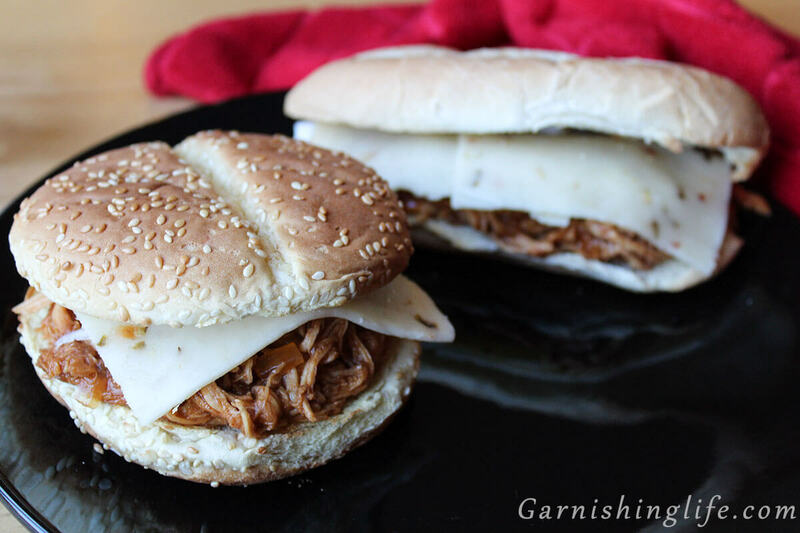 The only downside is there’s nothing to Garnish them! 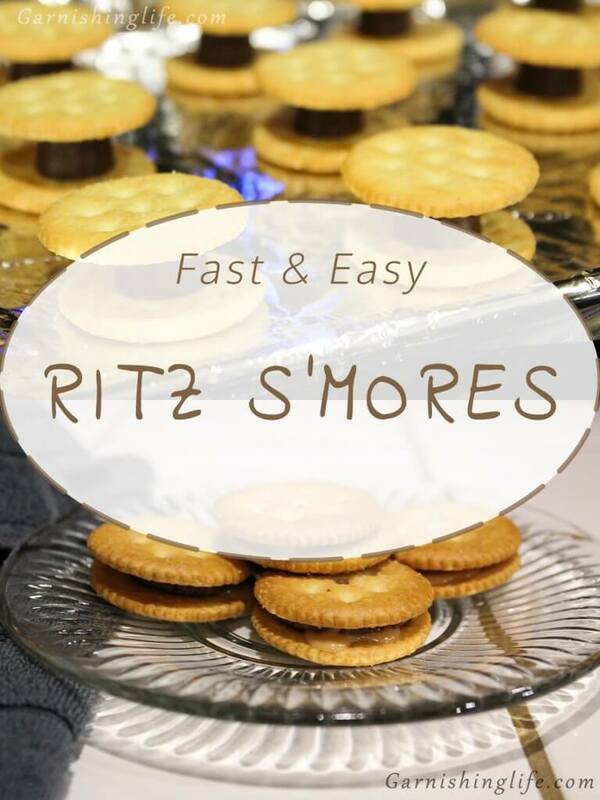 The Ritz S’mores are so simple to make, just Ritz Crackers and Rolo candies. Yum! So I just happened to have a pack of Rolos in the kitchen drawer and I wanted to make a surprise dessert for our Little One. While she was clearing the table, I snuck into action making these. Of course, you preheat your oven first. Then line a baking sheet with foil. I do this just in case a Rolo melts too much. 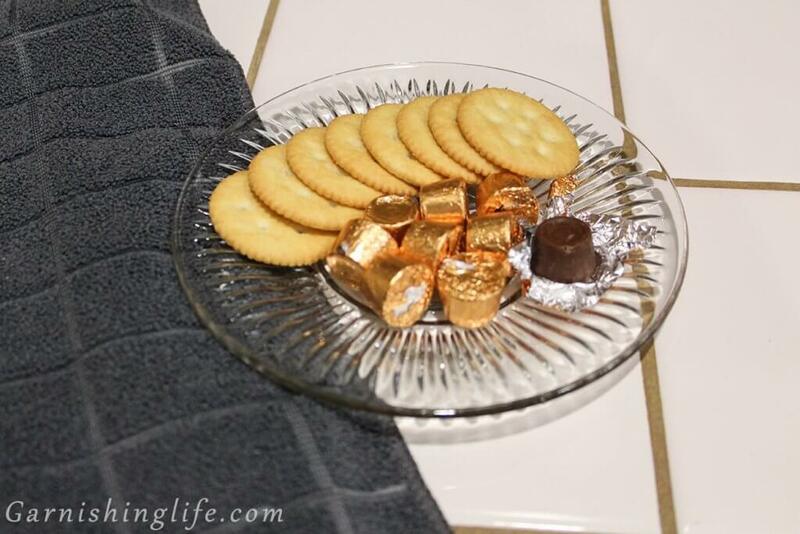 No one wants to scrape caramel gunk off a sheet. Then just make a sandwich! Ritz – Rolo – Ritz & done. Bake until the chocolate just starts to melt. I’d say about 5 minutes give or take. A couple tips though, the Rolos are sturdy so they won’t look melted when it’s ready to come out. If you leave in too long, the Ritz start to crack and lose their sturdiness. So keep an eye on them the first try or two. Once they’re out, I give them a minute to cool and then press the top cookie down just slightly to smoosh that Rolo. The little one was on to me at this point, so she helped smoosh. 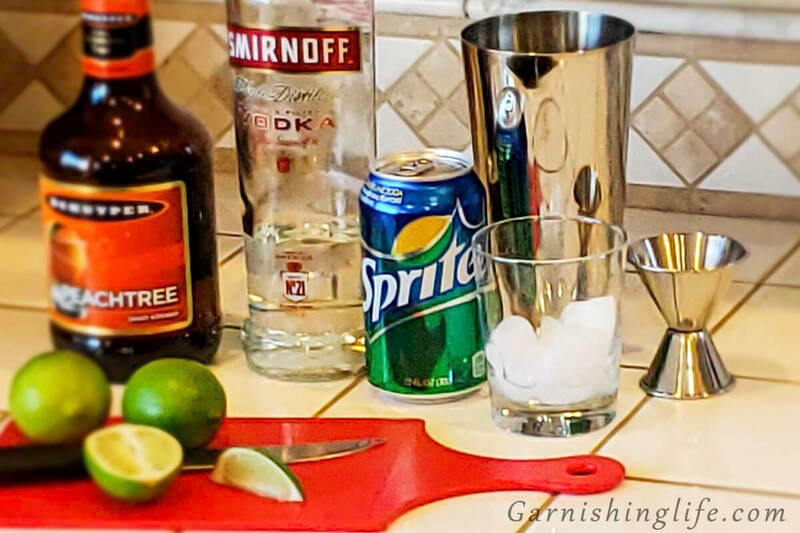 Sadly I can’t leave you with a suggestion for Garnishing because these are just perfect as they are. Don’t make too many in one batch – they are addicting and will be gone before the baking sheet is even cool. 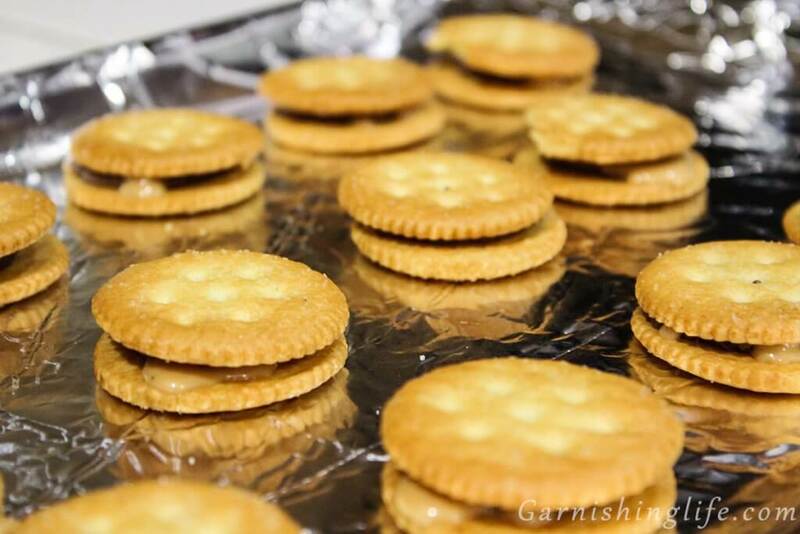 These cookies are a simple, fast treat that your kids will love. And they can help make them! 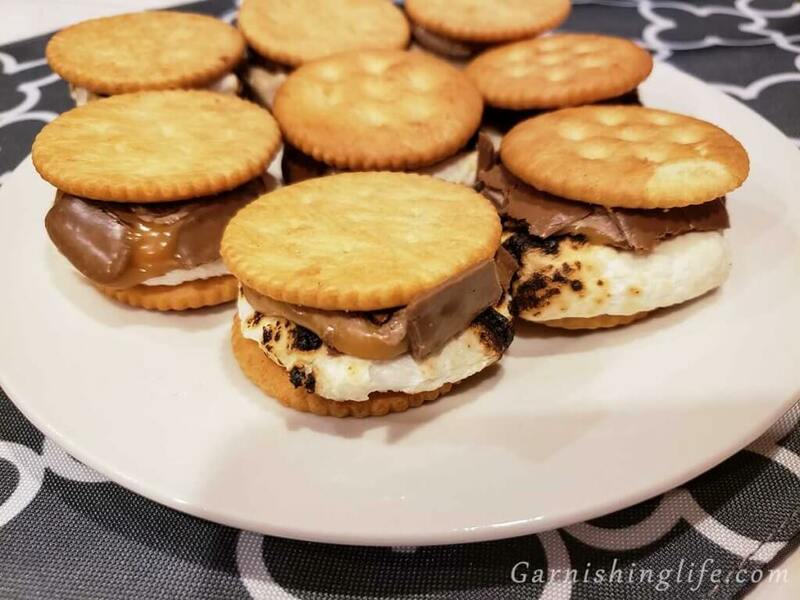 *August 2018 – UPDATE: I received a suggestion to add marshmallows and we tried it… DELISH! Marshmallows half as many crackers, if desired. 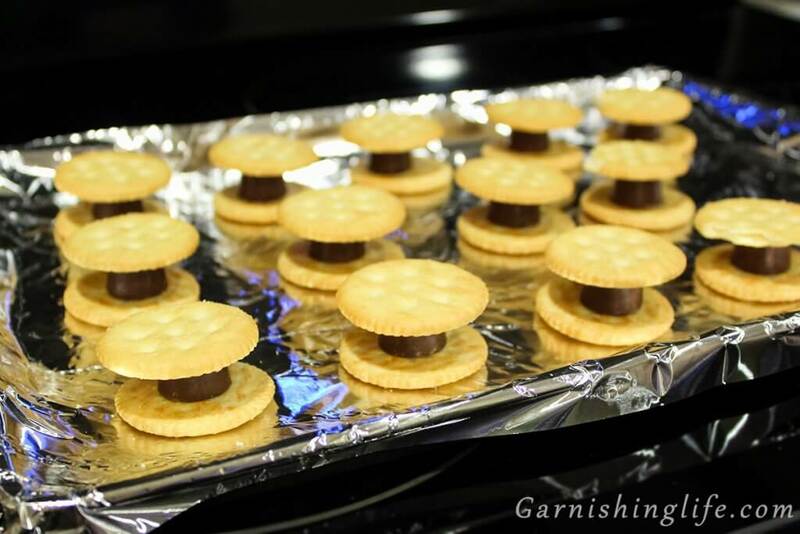 Allow to cool for about a minute, then slightly press down on the top cracker to smoosh the Rolo. Char a marshmallow as desired over an open flame. Being careful not to catch the marshmallow on fire, or burn yourself. 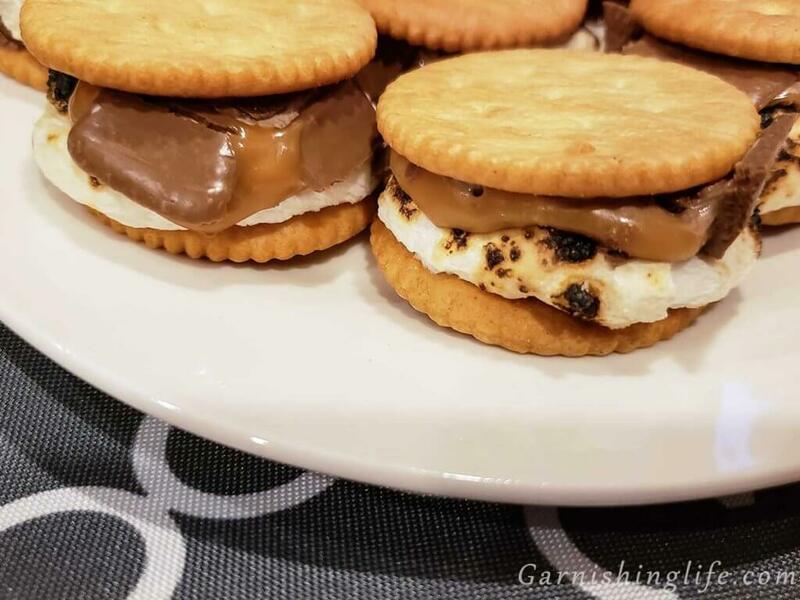 Place a marshmallow on one cracker and your Rolo on another cracker. Bake open faced for 5 minutes. 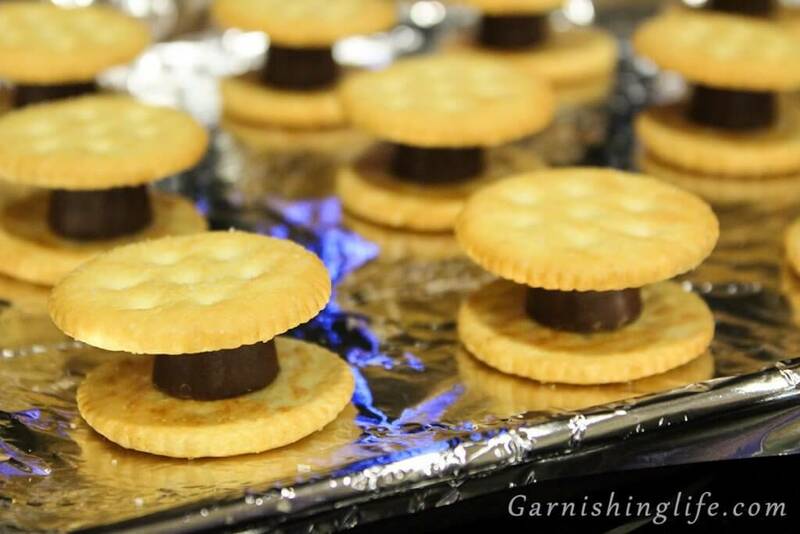 After allowing to cool for 1-2 minutes, sandwich the crackers together with the Rolo and Marshmallow in the center.